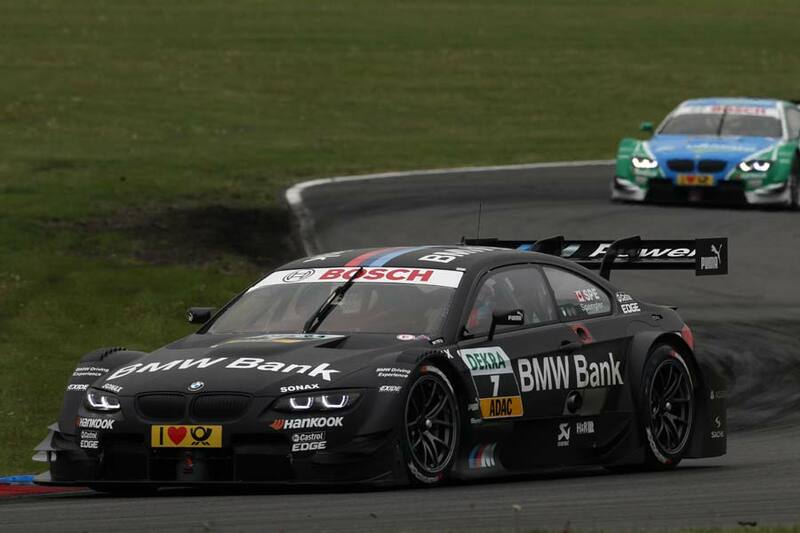 BMW driver Bruno Spengler turned his pole position into a win at today’s race at Lausitz to give the brand its first DTM win in almost twenty years and its 50th victory in the championship. The 28-year-old Canadian had a great start, which saw driver Gary Paffett jumping from third on the grid, passing BMW’s Augusto Farfus. 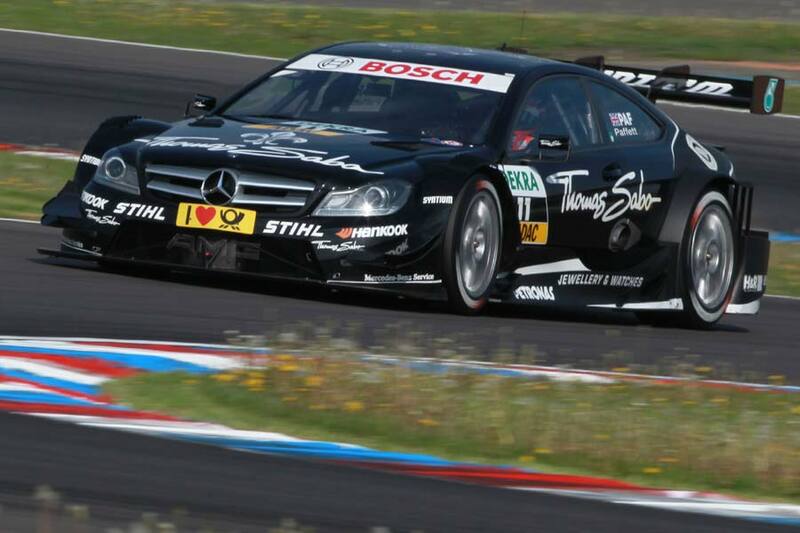 The front pair pulled away from the rest of the field and even Paffett’s two quicker pit stops couldn’t give him the advantage he needed to take the win, although the gap did close to 0.6 seconds at one point. 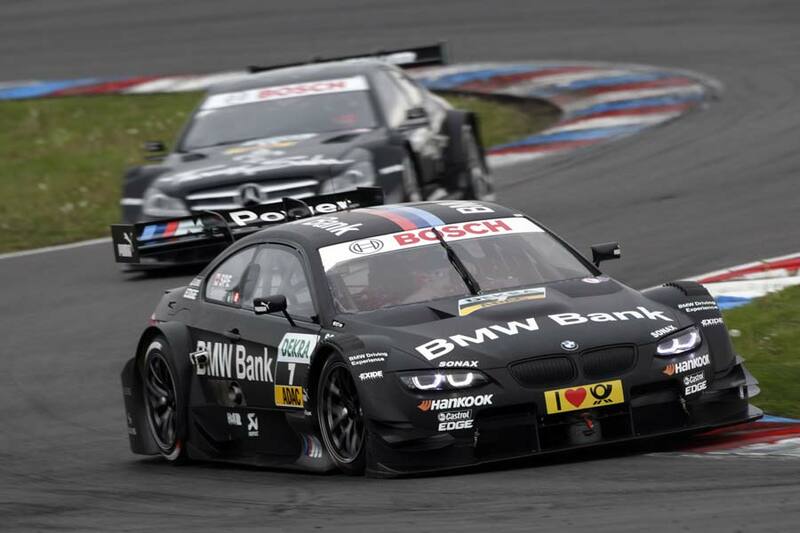 Farfus managed to hold off the Mercedes of Jamie Green to take the third step of the podium, giving BMW an almost perfect weekend. Mattias Ekstrom gave Audi its highest place on the day, ahead of ABT team-mate Timo Scheider, who had a relatively successful weekend; starting from 12 th, he used a similar strategy as Green, completing a long first stint ahead of his first stop. 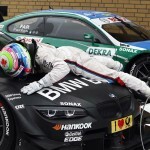 “Our strong comeback weekend in Hockenheim, then yesterday the first pole position and now – in the second race – even our first win in the new DTM-era. 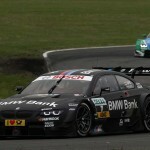 That’s amazing, simply amazing, absolutely amazing,” said Jens Marquardt, BMW Motorsport Director.